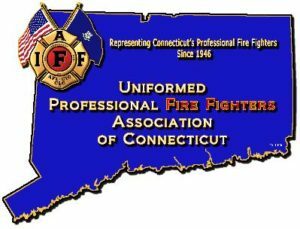 Officials in the Uniformed Professional Fire Fighters Association of Connecticut used dues money to fund the Miss Connecticut Scholarship Organization, pay for trips for UPFFA President Peter Carozza and his fiancé, and borrowed money from its own charity to pay the union credit card, according to witness testimony given in Connecticut Superior Court. of a lawsuit brought by New Haven Fire Fighters Local 825, which alleges, among other things, the statewide union had misspent their dues money. Attorney and state representative Craig Fishbein, R-Wallingford, questioned why the UPFFA in 2014 contributed $500 to Joseph Kuziak, a board member for the Miss Connecticut Scholarship Organization. Carozza told the court the $500 payment to Kuziak was a charitable donation to “support a golf tournament that the Miss Connecticut pageant was sponsoring.” The proceeds from the golf tournament were directed to the Children’s Miracle Network for kids with cancer. At the time, Alyssa Rae Taglia was a competitor for the title of Miss Connecticut. Alysssa is the daughter of Kimberly Taglia — Carozza’s fiance of 18 years. Alyssa had entered the competition in 2013 and 2014 before taking the honor in 2016. UPFFA Treasurer Robert Anthony said he was unsure of who Kuziak was and that he believed the $500 was a donation to the pageant. Anthony said union delegates were not made aware of the donation. “Counselor, we don’t go to the delegates for approval of every bill, every payment we make. The executive board okays everything,” Anthony testified. But there were numerous other “questionable” expenses discussed during the court hearing, including travel for UPFFA President Carozza and his fiancé, who accompanied him on union business trips, including the International Association of Fire Fighters 2014 convention in Cincinnati, Ohio. Some of the charges under Taglia’s name ranged as high as $715.99 for an upgraded flight from Chicago to Seattle, according to the court transcripts. Under questioning, Taglia said she and her daughter accompanied Carozza on business trips to Hawaii, Florida and St. Croix as guests. Taglia said she couldn’t recall who paid for the trips. Among other purchases questioned during the hearing was $822.40 at Tony D’s, a New London restaurant; of $360 to attend Motown: The Musical; and $674.25 for UPFFA members to attend a baseball game while attending the union convention in Cincinnati. The purchases and business expenses were made on the union’s credit card which, at one point, acquired a $28,000 balance the UPFFA couldn’t pay, according to the testimony by union officials. Instead, the UPFFA “borrowed” money from its Emergency Relief Fund, a non-profit organization which gives financial assistance to fire fighters facing difficulties. The ERF is funded largely by United Ride – a motorcycle ride in honor of those who lost their lives in the 9/11 terrorist attacks on the World Trade Center, according to Anthony’s testimony. Anthony testified the UPFFA used the ERF money because it was cheaper than getting a bank loan and he only had to transfer the money from one account to another. The Treasurer testified he was unaware the UPFFA couldn’t borrow those funds and that they were paid back with interest. dues paid to the UPFFA, which they say were misspent on travel and other non-legislative expenses. 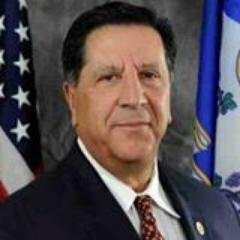 UPFFA Treasurer Anthony said he personally felt the travel expenses and purchases were okay because Carozza, who receives a salary of $48,000 per year plus a municipal pension, had only received “one flat pay increase of $500” over the last eight years. But Frank Ricci, president of the New Haven Fire Fighters Local 825, apparently doesn’t see it that way. Local 825 was “legislative member” of the UPFFA, meaning they paid dues to UPFFA for representation at the Capitol. According to the testimony given by Anthony, dues paid to the UPFFA – even dues by “legislative only” members – are not separated from other membership dues, essentially creating one pot of money for the union. This means Local 825’s legislative only dues could have been used for any number of non-legislative expenditures. It appears the court felt the same way, at least for now. 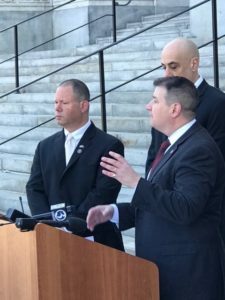 Superior Court Judge Thomas Moukawsher ruled in favor of Local 825 to disaffiliate from UPFFA and allowed Local 825 to move forward with their claim their dues money was misspent. “To support its demands for money, the court has heard evidence from the local of questionable expenditures from the state union, including personal travel that may not have been reimbursed, suspicious ‘mistakes’ with PAC fund balances, and the admission of a plainly improper loan the state union took (and repaid) from its charitable affiliate,” Moukawsher wrote in his ruling.